Lighting topics don’t get much more exciting than the debate over the mercury content of compact fluorescents (CFLs). Those against the use of CFLs claim that the potential harm of toxic mercury contained within the energy-saving bulbs far outweighs any environmental benefits. On the other side, groups feel such rhetoric is overblown. But what are the facts? Why Use Mercury in CFLs? Mercury (Hg) is a naturally occurring element used in applications as varied as thermometers, dental fillings, and fluorescent lighting. The cathodes within a fluorescent tube produce electric current that passes through argon gas and mercury vapor. In turn, the mercury vapor emits ultraviolet light that excites the phosphor coating within the fluorescent tube, producing visible light . The technology is the same for both linear fluorescent tubes (like those seen in office buildings) and self-ballasted compact fluorescents (the "spiral" bulbs used in homes). In short, without mercury, fluorescent lights will not work. The amount of mercury contained within a CFL varies, and in general, has decreased since their introduction nearly two decades ago. As of November 2010, the US EPA’s Energy Star program concluded that the average amount of mercury within a screw-in CFL was 4 milligrams, comparable to the size of a ballpoint pen tip . This pales in comparison to older thermometers, which contain as much as 500 mg  and even amalgam dental fillings, which contain about 100 mg of mercury . Keep in mind, however, that the mercury contained in a CFL, thermometer, or dental filling can be present in these sources in two forms: A liquid, which is what we typically think of when we think of mercury, and a vapor that quickly dissipates. In the case of a broken CFL, the most likely form of exposure comes from inhaled mercury vapor. A paper in the August 2009 issue of the lighting journal LD+A found that the median amount of mercury vapor to which a person is exposed through a broken CFL is a tiny fraction of the total mercury contained within the bulb: Approximately 0.07 micrograms (0.0007 mg). On the other hand, a tuna fish sandwich, which contains the more hazardous methylmercury, is estimated to expose the consumer to more than 48 times that amount due to the more efficient method of consumption (literally eating the mercury) . Who Regulates Mercury in CFLs? Despite its relatively low concentration in CFLs, mercury is still a toxic substance. For this reason, the EPA requires that CFLs contain no more than 5 mg of mercury for consideration in their Energy Star program. The European Union and the State of California adopted even tougher regulations, requiring CFLs to contain no more than 2.5 mg of mercury by 2013 . Manufacturers, however, have made the biggest strides. A 60-watt equal, warm white Neolite CFL by Litetronics, for example, uses only 1 mg of mercury, 80% less than Energy Star requirements . Along with other major manufacturers, Sylvania voluntarily capped CFL mercury content at 4 mg, with the 13-watt DULUX EL 29409 containing only 1.5 mg .
1. Van Dussen, Matthew. 'The Mercury Myth: How Much Mercury Do CFLs Actually Contain?'TXNOLOGIST. Retrieved 2012-08-30. 2. 'Frequently Asked Questions: Information on Compact Fluorescent Light Bulbs (CFLs) and Mercury'. Energy Star. Retrieved 2012-08-30. 3. 'Indoor Liquid Mercury Spills: Frequently Asked Questions'. State of Michigan. Retrieved 2012-08-30. 4. 'IMERC Fact Sheet: Mercury Use in Dental Amalgam'. NEWMOA. Retrieved 2012-08-30. 5. Clear, Robert et al. 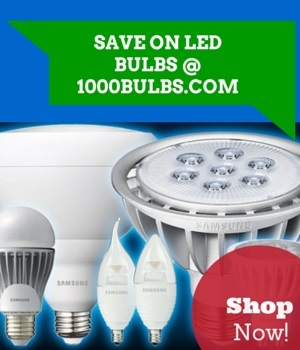 'Dangerous Mercury in CFLs? One Big Fish Story'. LD+A. Retrieved 2012-08-30. 7. Litetronics Neolite Sell Sheet. 1000Bulbs.com. Retrieved 2012-08-30. 8. 'Mercury Quantity in Lamps for General Lighting Applications'. Sylvania. Retrieved 2012-08-30.